I ripped up my knee when I was 18, downhill skiing. It was my family religion. We skied every winter weekend, Christmas and March break at the hills near Toronto. There were parts of it I enjoyed, but I was never as into it as the rest of my family (I discovered later when I got to know myself better, I was actually a tree hugging nature loving geek, and probably would have connected much more with cross-country skiing, but I digress). Many an activity has been usurped from me due to how my knee injury was treated (compounded by three car accidents one year after another). It all started with that knee injury when I was 18 (I’m 47 now), and the way it was treated has affected my life to this very day. By the way, did I mention I was fat when I ripped up my knee? Yeah, some of you likely already know where this rabbit hole leads. It wasn’t until I stumbled on HAES® and the size acceptance movement in 2011, and examined weight bias more critically, that I had the stark realization that every single person I knew (and there were many) who’d had the same injury (the “terrible triad”—medial meniscus tear, and ligaments MCL and ACL torn), had received the surgery. All except me. And of all the people I know who’ve had the injury (and surgery), I’m the only one with a fat body. You do the math. I’m a health practitioner so I’ve not only known individuals personally who’ve had the injury and surgery (including family members), but I’ve taught yoga students, and treated many massage clients who have had it as well. I average a little higher than the ordinary layperson on how many others I have for comparison. I know anecdote does not evidence make, but it still speaks volumes to me about what has always been at play when I’ve sought medical support for my knee. “You’re not an athlete, so you don’t need it,” is the reason I was given. When I was 18 and as strong as a horse. But I was 18 and unsavvy. So were my parents. It was the word of the doctor, who knows these things, right? So it’s not questioned (that’s power!). It’s incredible how internalized weight stigma can be—I hadn’t even noticed until my eyes were opened to HAES and size acceptance that every other person I’d known who’d had the same injury as me got the reparative surgery except me. Wow. I had an arthroscopy not long after the initial injury to clean up “joint junk” that caused knee locking, and at that time my orthopod had occasion to see exactly how damaged my ligaments were (i.e., not just relying on orthopaedic testing), and even though I found out much later that my ACL had been almost completely ruptured, he still said I didn’t require surgery (even though I reiterate, one of my knee ligaments was almost completely severed). The only conclusion I can come to is that I didn’t get that surgery because I was in a fat body. I was also told by a physiotherapist who treated me that some people are just not given the surgery because if legs are weak, they atrophy even further after surgery, causing a very lengthy, likely only partial, recovery. Instead of actually examining me and testing measureables like leg strength to determine if I was a candidate, an assumption was made that I was of course too weak (of muscle and will) for the surgery. Based on looking at me—does that a thorough medical assessment make? For anyone? Did no one notice my chart or hear that the injury was sustained downhill skiing, something I’d done every winter weekend since I was six? And I toughed it out all those years even though it wasn’t 100% my bag? Weak? Uh-huh. That unilateral decision by a weight-biased doctor has caused a lifetime of biomechanical degradation and pain. If there was anything that medical services would actually do for me, it would be costing the health care system a lot of extra money for all the re-injuries I’ve sustained and all the other chronic body issues that come from having an inherently unstable knee. But since they have nothing to offer me—or more accurately, it’s withheld from me—it just cost my parents money until I was out of school, and me ever since, for all the physiotherapy, chiropractic, massage therapy, osteopathy, acupuncture and sundry other forms of therapy I’ve received and continue to receive. Bodywork and especially therapeutic yoga are necessities for me to maintain function. With a knee flare up that was keeping me from work for an uncomfortable length of time about six years ago (self-employed = no pay for sick days), I decided to seek out another orthopod’s assessment, only to have been referred to the most bigoted physician I’ve seen to date. His disdain for me was palpable; even the intern spent most of the time looking at the floor. Unfortunately, after so many years with an unstable knee joint it degraded to the point where the type of reparative surgery done when the injury is fresh is not necessarily appropriate at this stage of degradation and arthritis. That horrible orthopod I saw six years ago told me scathingly, “you’ve got so much arthritis in your knee I don’t even know how you can walk on it.” He said it with a finger wag and a scowl. He must have missed the part where he acknowledged it was uncanny I was walking on it. And also the part about having a missing AC ligament since I was eighteen because it was left that way by medical professionals. He didn’t even blink when I said the reason my knee was still functional was due to gentle therapeutic yoga. It was as though I hadn’t even said it. I guess whatever had the potential to cause too much cognitive dissonance wasn’t getting through that day. My knee is not healed, it’s functional. I’m grateful for her hanging in there with me as long as she has. She’s a trooper. She hurts a fair bit and doesn’t straighten fully, but despite being told I shouldn’t be able to walk on her, I can (unfortunately concrete kills me, so long walks in the city are out of the question, and going to places like Home Depot hurt). I’m on my feet all day wearing a groove in the floor around a massage table, I teach yoga classes, I hike. It does take a lot of self-care to maintain functionality. And a lot of caution. And sometimes no matter how much, things still fall apart. Often. Having an unstable knee causes the pelvis to collapse toward it; having a chronically torqueing pelvis has created a curvature in my lower spine, causing a chronic disc protrusion. Any chronic joint issue can and eventually does cause problems in the joints above and/or below, so I also have other back and joint issues present as a result. And, of course, everything was compounded by the car accidents. It also means sometimes the littlest, most innocuous thing can be injurious or create a stubborn misalignment. It means things like a bout of plantar fasciitis causes so much body havoc that it has taken almost 3 years to recover and it’s still not back to pre-fasciitis function. The best thing one can do is keep the supporting muscles as strong as possible. But when movement has to be cautious and/or hurts, and when one’s income is directly related to the ability to remain on one’s feet (hence never wanting to try anything too “kamikaze” for fear of hurting oneself and not being able to work), it gets complicated. Not impossible, but complicated. And definitely requires a gentle, moderate, informed approach. This is where yoga has been such a lifeline: the mindfulness for dealing with chronic pain and a therapeutic approach to asana (poses) that keeps me functional. Don’t get me started (or we’ll be here forever) on the challenges of being a fat yoga teacher with invisible disabilities in a modern yoga culture caught up in body pride, healthism, sizeism, and other ‘isms too, and what I’ve coined “yogaspiration,” after the trend of fitspiration that has sadly begun to weave its way into modern yoga culture and media. (Not to mention the constant frustration of dealing with teachers who just can’t understand why yoga hasn’t “healed” me yet, hence I must just not be trying hard enough—gotta love that magical thinking!). You saw my body and with a cursory glance assumed I was weak without any evaluation. You probably also felt I was unworthy. But I was strong. So strong. With a whole life of adventure ahead of me. You have a direct hand in weakening that strength and creating an environment for additional injury and pain, through your inaction and poor care. I know I am not the only one. Please, please consider each patient as a unique constellation unto themselves instead of offhandedly making assumptions about their health or habits based on how they look. Consider their futures: you might just have a hand in setting them up for a world of pain and limitation. 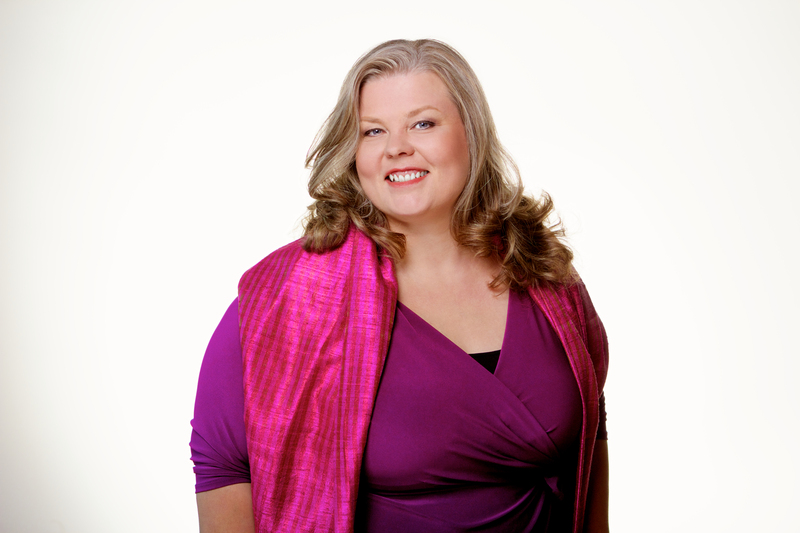 Tiina Veer is passionate about simple self-care, making yoga practice more accessible, the intersection of yoga and body politics and an advocate for Health at Every Size®. She is on the Leadership Team of the Yoga and Body Image Coalition, and the Founder of Yoga for Round Bodies™ and Halcyon Health Wellness Centre & Yoga Clinic in Toronto. She is a veteran massage therapist, anatomy educator and yoga teacher trainer specializing in accessible yoga, e.g., for those in round bodies, those with chronic pain or injuries, apprehensive beginners, and many others who don’t feel well met in mainstream yoga spaces. When not working, you may find Tiina shooting arrows, taking pictures from a kite, or loitering in the forest with her partner David and their rescue dog, Taco. You can find her at www.tiinaveer.com or on Twitter @TiinaVeer. I love this post. There are so many things we just assume are correct. I know that I do. We trust so many people outside of ourselves. I am learning now to question everything. There are so many things that I long that I couldn’t do or wouldn’t be of benefit to me because of my weight. I just tried yoga for the first time a month ago, and I loved it. Great, great post! Sorry you had to experience that though, but love how you are pushing through. Thanks for sharing. Thank you for your comment and support, Leslie. Yes, all the lost opportunities and all the lives waiting to be lived because of the thoughts that live in our heads about our limitations (that have been placed there through a whole plethora of experiences with weight stigma through our lives), pinching and pinching lives smaller and smaller. It’s such a sad loss of human potential. I’m so glad you ventured in to a yoga class and enjoyed it! It IS a great practice when you can find somewhere comfortable to practice!